So This Poster Is Hanging In A Therapist's Office. And It Has Saved More Lives Than You Know. One of the more powerful tumblr pages out there has to be Boggle the Owl. 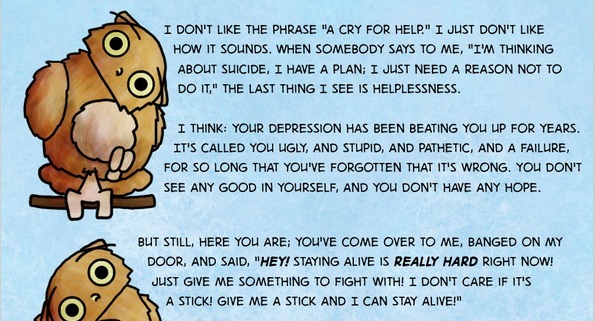 The creator behind this tumblr has a truly unique gift when it comes to exploring and explaining depression and self doubt. His words have inspired thousands in their fights with depression, giving them a sense of understanding and a different perspective on life. These inspirational words below by Boggle were even spotted on a therapist”s office wall. I hope that if I”m ever at the end of my rope, I”ll have my own Boggle to hand me a stick. 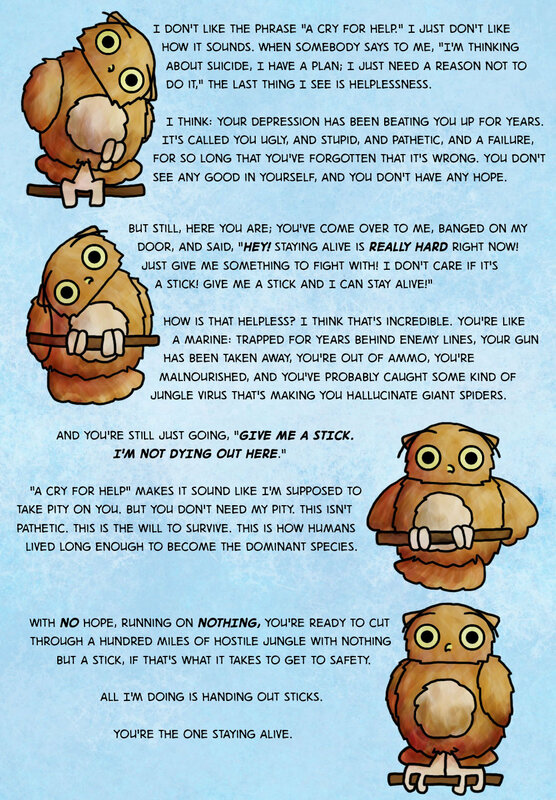 Source: Boggle the Owl Share these positive words with your friends below. One of them probably really needs to read this right now.